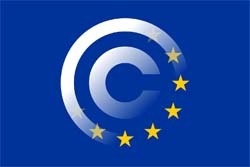 After years of discussions, the EU’s copyright reform plans are in the final stages. Last month there was a temporary hiccup when negotiations were canceled after member states failed to agree on various crucial elements. However, that was never expected to be the end of it. And indeed, following a deal between Germany and France this week, things are moving forward once again. Both countries previously disagreed on the scope of Article 13. This article requires service providers to license content from copyright holders or, if that’s not an option, to make sure that infringing material isn’t re-uploaded to their servers. France and Germany agreed on these basics, but not on which services should be bound by it. France argued that commercial companies of any size should be covered, while Germany preferred to exclude small services with less than €20 million in annual turnover. This week the countries came together to reach a compromise. The new deal, made available via Politico, excludes companies if they fit within a set of three clear boundaries. If a service is publicly available for less than three years, with fewer than 5 million monthly unique visitors, and an annual turnover of less than €10 million, it is excluded. Companies that are excluded will still have to do their best to obtain licenses from rightsholders. However, they will not be forced to prevent infringing content from being re-uploaded. While the compromise protects smaller startups, Pirate Party MEP Julia Reda warns that it’s actually worse than some of the earlier proposals. The new obligations would also apply to older forums, including those of Ars Technica and Heise.de, she warns. “Countless apps and sites that do not meet all these criteria would need to install upload filters, burdening their users and operators, even when copyright infringement is not at all currently a problem for them,” Reda notes. The Pirate Party MEP calls on the public to share these concerns with their representatives, making it clear to them that Article 13 puts the future of the Internet at stake. EU copyright rapporteur Axel Voss, who’s one of the driving forces behind the plans, clearly disagrees. He believes that Article 13 and other proposals are needed to make sure that copyright holders get the money they deserve. In an op-ed in Parliament Magazine, Voss argues that Internet services are using their ‘safe harbor’ protections to escape liability and profit handsomely from distributing copyrighted material, while rightsholders don’t get proper compensation. “This cannot continue to apply. The platforms do much more than simply providing the infrastructure, which is why they can make the profits that they do,” Voss writes. Interestingly, the EU’s copyright rapporteur goes on to stress that, even though European companies are directly affected by Article 13, US-based services are the real target here. “Do we want to protect the creative sector in Europe, or do we want to leave it defenseless against the large US platforms? What is the value of our Europe’s creative industry to us?” the op-ed reads. With the new deal between France and Germany in hand, the Council will try to agree on a unified negotiation position for the final trilogue negotiation. If an agreement is reached there, the EU Parliament will vote on it a few weeks later.